Animation is mesmerizing. People of all age groups can vouch for this. Movie animation has been around for several years and the format has given the world some unforgettable expressions that we all will remember till eternity. From Oriental classics like The Jungle Book both old and new and Spirited Away to Western classics like The Lion King, Finding Nemo, Frozen, Tangled, Kung Fu Panda and many more irresistible grand productions, the world has seen it all. 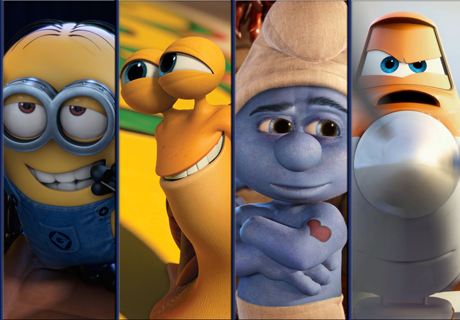 It is about time that filmmakers realize the potential of animation in mainstream as well as in short film format. Production houses in Delhi NCR are yet to utilize the unexploited format of animation for short films to for production purposes. The format and genre is appreciated alike by every industry commercial, industrial and corporate. The technology has made it feasible to be incorporated in the short productions. We at BrandBerry Marcom, understand that moving forward with changing times is a must and therefore, bring to the you the many ways in which animation can become a part of your new projects and can add substance to the expressions. This is a flat line, two dimensional, hand-made look that we all have been enjoying since our childhood. Story books, comics, cartoons are all filled with animated characters that have successfully made impact on reader's, viewer's minds. With emancipated technology, designers can now create 2D animations with easy softwares like ToonBoom, Adobe Photoshop, Pencil 2D, etc that do the deed for you and quite sublimely at that. A successor to 2D, 3D is more elaborative, multidimensional, more interactive and interesting format for animation. However, it is not easy to master it but everything is possible with grit and technology. Modeling and coding of characters in 3D is rather intensive with addition to music and voiceovers, 3D has redefined animation. This hybrid form of animation is more life-like and is a great method that needs exploitation by fellow filmmakers and production houses in Delhi to attain mastery in the technical craft. AutoDesk, Poser Pro, Sketchup are some of the softwares that facilitate 3 Dimensional animation production. It is however essential to note that achieving success here always requires a relentless team work in the same direction. This technique is one of the easiest ways you produce interactive animated sequences, combined together can make really interesting graphical imitations and if played with accelerated motion, the sequences appear to be in strong motion. Stop-Motion can be done with more real life figures and drawings with movements captured at every intricate step to capture real time movement. Cut-outs, clay models, individual drawings or even real people can be used to depict story. However, this technique can be highly time consuming but the results always work. The technique does not suit every story so the format selection should be made judiciously. The process is budget oriented as well. Double treat for the amateurs or newbies in the filmmaking industry! This form is much like stop motion. Clay models are a fascinating part of this technique, used remarkably well by Vaibhav More, ace stop-motion/puppet filmmaker in India. Rotoscoping is a niche form of animating on top of conventionally captured films. Movies like A Scanner Darkly, Anastasia, Cool World, Cinderella, etc are rare cinematic representations this form of animation. Its looks like blending real people, real images with animated environments. Amateurs who wish to use this technique and learn the craft must invest in a good quality laptop, tablet as going through the images frame by frame gets more convenient on smaller consoles. You can use the footage using live video that can guide you to create your own characters. Advertising is a visual communicating medium that can benefit enormously from this format. It gives a more authentic, realistic visual appeal with the combination of animations and crazy colors to add their bit of enchantment in it. The technology is developing ever day, it’s a great time to be a filmmaker and for the video production houses to create short films and adopt these techniques to create more marvels to inspire. BrandBerry Marcom is a contemporary yet, the next generation communications agency and is also a production house in Noida. The company consists of a team of enthusiastic filmmakers and graphic designers who are endearing in their ideas and also like to share them with their contemporaries with a hope to see better video products coming up in the industry.